I met with director Jenny Murray to discuss her feature-documentary debut, ¡Las Sandinistas! (which Don Simpson reviewed), on Tuesday, March 13, at the 2018 SXSW Film Festival. 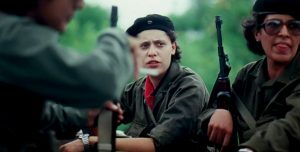 The film tells the rousing tale of the female revolutionaries who fought, as equals alongside men, against Nicaragua’s corrupt Somoza regime in the 1970s, leading to the eventual victory of the rebel Sandinista movement. What followed was less than the triumph of which they had dreamed, however, as it soon became clear that their male counterparts – including the once and future leader of the Sandinista party (and current President of Nicaragua), Daniel Ortega – were not so keen to give women an equal place at the table once ensconced in power. With present-day interviews with the women involved, along with copious archival footage, Murray tells a story of success and bitter disappointment that is always 100% engaging. Here is a condensed digest of our conversation, edited for clarity. Hammer to Nail: So, Jenny, how did you find the story and decide to make a movie about it? Jenny Murray: So, I studied Latin American history in college, and I didn’t learn much about the Nicaraguan revolution – I don’t think many of us do, in the U.S. – but a friend of mine was working on the border of Nicaragua and Costa Rica, so I started doing more research about the revolution, because I was always fascinated by it and wanted to go to Nicaragua. And I found an interview with Sofia Montenegro, one of our main characters, that was about the federal ban on abortion, under the new revolutionaries today, in 2006, that took power and voted yes on this ban. And I just thought it was very weird. So, I kind of worked backwards, and read other interviews with her, and she talked about the other women who fought, and about how the new revolutionaries have changed – they’re still her fellow Sandinistas, but things have really turned – and how a lot of policies have changed, drastically. What I didn’t know was the incredible role women had, as leaders, not only of battle, but of massive social reform, immediately following the revolution. I just thought the stories were incredible. And the archives blew me away: they were so electrifying, and the hope on women’s faces, and the story of them being involved, when they were young girls. I mean, Dora Maria was 14 when she became a student activist. And I thought, “Man, I wish when I was a girl, I had access to stories like these,” about these politicized, interesting teenagers, which, you know, we’re starting to see in the U.S. now, with Emma Gonzalez and these young people really taking that active role. Cool young people. Real young people. Smart young people. HtN: Who frighten, of course, the older people whom they are confronting. JM: Of course! People don’t know what to make of it! And in Nicaragua, too, it was very scary. HtN: So, that’s interesting. You went down for one thing, met Sofia Montenegro, and then, from there, you started on what became this film. I assume that she is the one who put you in touch all her former compadres…or, rather, how would say the female version of that, in Spanish? HtN: Compañeras. Excellent! So, that was going to be my next question, about how you contacted your subjects, but now you’ve already answered that, so the interview’s over. Thanks! HtN: OK. New question: did any of the people you contacted decline to be in the movie? You only feature these five main female characters. Were there more? JM: Yeah. Unfortunately, we reached out to a lot of women who are currently with the Sandinista government, but were also fighters, and great friends, at the time, with the women we do feature. For example, Leticia Herrera was an ally of Dora Maria Téllez, and also led an incredible combat unit, in the war. Another, Gladys Báez, was an historical revolutionary and is still in the National Assembly. Aminta Granera was the Chief of Police, and was a nun and a revolutionary Sandinista. These were all women we talked to, including Rosario Murillo, who was also a part of the revolution, even if she wasn’t a front-line fighter, from my understanding. We reached out to her, as well, ‘cos she was a part of it, and is now the First Lady of Nicaragua, Daniel Ortega’s wife. We reached out to all of them, on formal letterhead, and the answer was no, across the board. HtN: Well, especially if you are reaching out to the current First Lady of Nicaragua..
JM: Sorry, they didn’t say no, they just ignored it. So, they wouldn’t say no. I should make that clear. HtN: Right, there was just no response. HtN: Well, the current First Lady of Nicaragua, at least according to your film – and I don’t know anything about the current state of Nicaragua, except what I’ve seen in your movie – is part of this corruption that we now see. So, I would not be surprised that she would not want to be a part of the film, as sad as that is. Now, how about one of the few men we see extensively interviewed in a talking-head shot, Eden Pastora? This is a film about the heroic work of these women in the revolution, but you do include him. How did you find him and then decide to include him? JM: We were lucky that he was able to talk! You know, Eden marches to the beat of his own drum. He kind of follows his own course, even though he is currently allied with Ortega, I think he still has his own … you know, he is able to move freely. And he loves interviews! He was so nice, and funny, and wild! We got to drive in his convertible, he showed us his machete, and he loves talking about the history. He’s really proud, and he was a huge part of it. He was the Commander Zero at the National Palace: a huge leader in the military! Later, he became a Contra, which we don’t cover in the film, because it’s about women’s lives, but he was a leader of the Contras in the south. And then, of course, Nicaragua is a country where things change a lot, and Eden is now allied with the Sandinistas again. So, we decided to cover him for a lot of reasons: because he was historically important; because he would talk, whereas many of the men we tried to reach out to wouldn’t talk. HtN: Did you reach out to Daniel Ortega, as well, or just his wife? JM: I think we did, as well, and…same thing. JM: Not surprised. We also reached out to Luis Carrión, who is in the film, and a great ally of women, and we have him comment in the film, as well. But Eden was such a big figure in the military history, and he worked so closely with Dora, and he could really speak to women’s heroism, in a certain way. But Eden is also very free, and you see the other side of men’s relationship to women, in the war, especially through the archives of Eden and Tomás Borge, who is another military figure. HtN: Well, Eden may have been a great ally of women, but he’s certainly not immune from the machismo that is a common theme. There’s this leitmotif of your movie of women constantly battling the machismo and how it comes and goes. When it’s opportune for the men to have women as allies, they let go of that machismo, but as soon as they no longer feel they need them…This, of course, mimics male-female relations throughout history, right? HtN: So, beyond people ignoring your requests to be in the film, were there any direct challenges, beyond that, to you making this film at this time in Nicaragua? After all, it does not paint a flattering portrait of the current regime. What obstacles, if any, did you encounter? JM: Not really. Most of the challenges we encountered were probably challenges that anyone trying to film in Nicaragua would encounter, which is that there is just not a ton of infrastructure. Things aren’t generally as well-organized as in the U.S. You know, we would try to go to these archives and they would be … actually, we were barred from accessing the archival … that was one thing. We were not allowed into the Cinemateca. That’s where they keep a lot of the archives that the government owns. HtN: But you do include quite a lot of archival footage, so where did that come from? JM: Other sources. So, we had some people that burned copies for us. Some people who said, “Don’t say who I am.” We met someone in a mall parking lot, who gave us ripped copies of some of the old movies. JM: Yeah! (laughs) There were some individuals in Costa Rica I reached out to, who had made revolutionary films. You know, there were a lot of emails, a lot of phone calls, and a lot of people were supportive. People really believed in women, or cared about justice and the original ideals of the revolution. People were willing to help. HtN: So, you mentioned that you studied Latin American history in college. That encompasses huge parts of the world. Had you been to Nicaragua before making this film? JM: No. No, my first time there was when we were scouting and trying to do interviews. HtN: In what area did you specialize, in college? JM: Well, I wasn’t a major. I just took classes, but it was mostly in literature, culture and film. Latin American Film was one my favorite classes. HtN: Do you speak Spanish fluently? HtN: But enough to get by, when you’re filming? JM: I think enough to get by, and enough to write a lot of emails and letters, usually with proofreading. I took Italian in college, and Latin and Greek in high school, so…But I did study as much as I could. I met a Salvadorian tutor on Craigslist, who was in Brooklyn at the time I was in Brooklyn, and he would meet with me and we would write all the interviews and go over them together. He really donated a lot of his time, because he also believed in the story. Since he was Salvadorian, he understood the civil war. 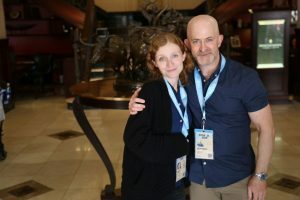 HtN: So, now that the film is done and you’ve premiered here at SXSW, do you have plans to try and screen the film in Nicaragua, and do you anticipate that there might be some pushback? JM: We really hope to screen it there, and I do anticipate pushback. The women want us to screen in Nicaragua, too. I don’t know how the current government is going to react, to be quite frank. We did try to include that brief portion where the people who are on the side of the government get to talk about the great things the government has done, because I thought that was important. The country is very divided, and I thought it was important to have those voices. However, a lot of the women do come down pretty hard on the current leaders. So, I don’t know how widely it will be distributed, but I hope that we’ll get to show it to the women and the people who fought. HtN: Well, here’s hoping that happens. Congratulations on the film! I really enjoyed it.